I would like to learn more about 407 - 778 Sheppard Ave W.
Aura Condo\'s...Gorgeous High Floor Unit With Spectacular View, 1162 Sq Ft. Open Concept Layout With Wrap Around Windows. Modern Kitchen With Granite Counter Top And Island. Access To Subway, Steps To Financial, Shopping, Ryerson, Hospital, And Entertainment. Centrally Located Boutique Condo In The Heart Of Yonge & Eglinton. Bright South West View Of The City. Steps To Subway, Grocery Stores, Theater, Trendy Shops And Restaurants. You Get The Luxury Of Living In A Safe Neighbourhood With Parks, Families, Reputable Schools And Community Centres While Enjoying The Convenience Of Living In The City. Gorgeous 2 Bedroom Unit With Spectacular City Views, Largest Balcony, Unique Layout-One Of Only 4 In Building! Split Bedrooms, Many Upgrades. Kitchen W/Large Island And Ss Appliances. Building Features 4500 Sq Ft Rooftop Gym And Spectacular Entertainment Area. Steps To Yorkville, Luxury Shops, Restaurants, Cafes, U Of T And Subway. Spacious 1 Bedroom At Murano, 99 Walkscore / 100 Rider Score! Close To Uoft, Subway, & Everything Downtown! Excellent Building Amenities. Locker For Storage. Dark Engineered Hardwood Floor, Floor To Ceiling Windows, Large Balcony, Kitchen /W Granite Countertops. This One Won\'t Last! Rare True Low Rise Condo. Well Maintained Very Clean End Unit. Located In Bathurst Manor Community. Steps Away From Sheppard West Subway Station. Minutes To Highway 401, Yorkdale Mall & Downsview Park. This Bright 2 Bedrooms And 2 Baths, Corner Unit Has An Unobstructed South View. Premium Location! Luxury Condo! Moments Away From Financial District, U Of T, Hospitals. Steps From The Peaceful Queens Park, Biking, Walking Paths. Subway Across The Street, Shopping & Restaurants. Modern Open Concept Kitchen, Living Room & Dining Room, B/I Appliances, Great Layout W/Oversized Balcony. A Nice Unit Perfect For The Working Individual, Right Downtown Toronto, With Amenities Just A Walk Away. This 1 Bedroom Unit Has Beautiful Finishes With Hardwood Flooring In The Living Room And Tile In The Kitchen. The Unit Includes An Ensuite Washer And Dryer As Well As A 52 Sq Ft Balcony Plus A Locker For Storage. Experience The Joy Of Living At Aura! Just A Walk Away From All Amenities Imaginable, From Shopping To Groceries, All Accessible Underground. This Unit Is A Beautiful One Bedroom Plus Den With Washroom Unit With An Open Concept Living/Dining/Kitchen. Ultra Modern 1 Bedroom + Den Condo Unit At Yonge & St Clair. Open Concept Functional Layout With Lots Of Natural Light. Den Can Be Converted For Multiple Uses. 24 Hour Concierge. Lcbo & Longo\'s Market Place Located In Lobby Of Building. Starbucks Right Next Door. Welcome To The Allure, Stunning New Boutique Style Condo, Over 700 Sqft Of Well Appointed Space. Large 1 Bedroom Plus Den With High End Miele Appliances. Steps To Ttc Shops Restaurants And Much More, This Building Has The All The Amenities Of A High End Hotel, It Will Surely Please!!!!!!! 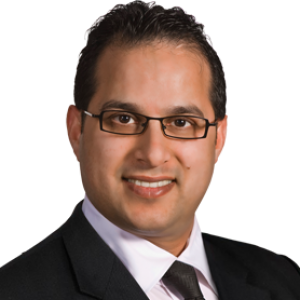 We would highly recommend Shahid to anyone in the market to sell/buy a home. Our experience with him was very pleasant and professional. His credentials were very impressive so we decided to try him and had a stress free real estate selling experience.